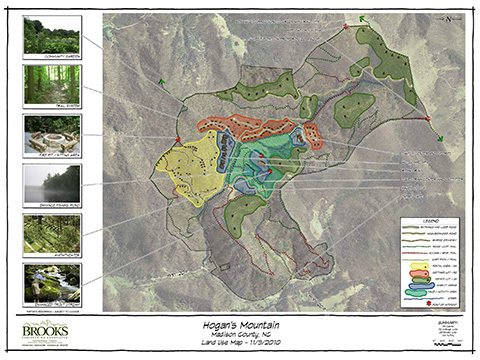 BEA provided extensive land planning and feasibility studies on the 800+ acres property. Various plans were created from an ultra low density plan with 20 estate lots to a resort community with hotel, spa, a 9-hole Fazio designed golf course, townhomes, and over 300 single family lots. BEA helped to analyze the site by creating slope maps, GPS-ing all the site features including logging roads, and analyzing the site for waste water treatment and disposal. As part of the golf course permitting, BEA created a Stormwater Management plan for the entire site, including raingardens, infiltration devices, and vegetated swales. BEA also oversaw the permitting and drilling of five public water supply wells, permitted several erosion control plans for the property, and provided a boundary and topographic survey of the property.